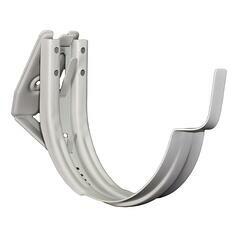 heavy duty bracket secures gutter to plumb fascia. 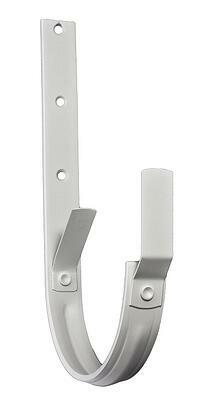 Front and rear tabs secure gutters to hanger for quick and easy installation. 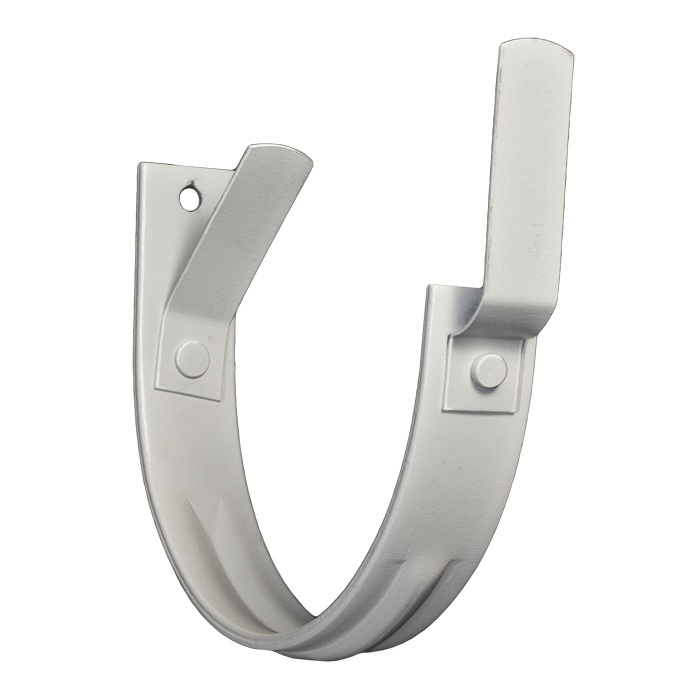 This strong and easy to use hanger quickly solves the problem of how to mount half round gutters to an angled fascia. It adjusts to the desired angle and keeps your half round gutter adjacent to the ground.